The best way to get an overview of Frankfurt is to take a city sightseeing tour when you arrive, choose either the city highlights bus tour or the sightseeing cruise. Culture Vultures will be glad to hear that they can save up to 50% on entrance fees to the cities top museums and attractions with a Frankfurt Card whilst for those looking to let their hair down and try a tipple at the traditional apple wine bar with like-minded party people, a trip to Alt-Sachsenhausen with the pub crawl tour is a must-do. When you tire of the city and want to see medieval castles, historic towns, and stunning scenery just book to go on one of the many day tours that are available. Visit the historic towns of Heidelberg, Rothenburg, and Rüdesheim and see the stretch of Rhine Valley that's been declared a UNESCO world heritage site. The famous spa town of Baden-Baden in the Black Forest is a must-see and you can even step foot into France by crossing the French/German border with a day trip to Strasbourg. To help you get the most from your visit to Frankfurt we have done the research for you, hand-picking the top-rated and most interesting attractions and tours in and around the city. We have even compared the prices and read the reviews so that all the information you need is compiled on one page. All you have to do is find your passport and pack your bag! A half-day guided tour to the city of Heidelberg. Heidelberg is a beautiful city with Renaissance architecture located on the River Neckar. It is famous for its castle ruins and its university, the oldest in Germany. 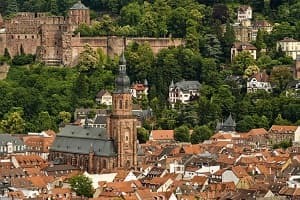 Depart Frankfurt and travel by coach to Heidelberg. Visit Heidelberg Castle ruins and see the worlds largest wine barrel. Explore the old town and visit the prestigious university. A knowledgeable English/German speaking guide. This trip receives superb reviews, most visitors giving it top marks of 5/5. Everyone agrees that this is a superb trip with a friendly and knowledgeable guide. They describe the trip as "A Very Enjoyable Day', 'A Highly Recommended Tour', 'Would Do It Again'. Great for people who want to see outside of Frankfurt. Ideal introduction to the city if you don't have much time. A must-do for visitors who like architecture, history and sightseeing in beautiful surroundings. Duration: 50-100 minutes depending on upstream or downstream tour. 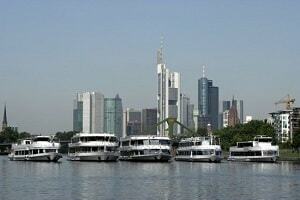 A city sightseeing cruise along the river Main in Frankfurt. Pass by some of Frankfurts top riverside sights such as Frankfurt Cathedral or the European Central Bank. Great skyline views of Frankfurts tallest building; Europaturm. Cruise up or down the river Main depending on the tour you book. Sit back and relax as you watch the city skyline go past and some of the top attractions. Learn about the sights you're passing with audio commentary in English. Audio commentary through headphones in English. See sights such as the European Central Bank, Frankfurt Cathedral, and Europaturm. This tour has received high reviews with an overall rating of between 4-5/5. Visitors to Frankfurt have described this boat tour as 'Very Relaxing', 'An Enjoyable Ride with Good Views', and 'Well Worth The Hour'. They recommend it to other visitors to Frankfurt. An enjoyable way to see the historic and modern parts of the city. A good introduction to the city of Frankfurt for first time visitors. Good for the whole family, no complaints of tired feet through having to walk! A 1 or 2 day sightseeing discount card. Receive up to 50% off entrance to selected museums and sightseeing attractions plus discounts on restaurants and shopping. 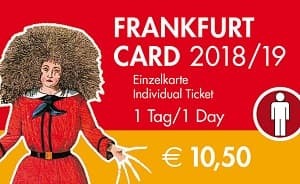 The Frankfurt Card also entitles you to free public transport in the city. Save money on sightseeing attractions! Enjoy free public transport within the city and to the airport. Save money at restaurants and shops. 50% off entrance fee's to top museums including MMK, Anne Frank Educational Centre, Goethe House, any many more. Up to 25% off theater shows. 10% off in selected shops and restaurants. 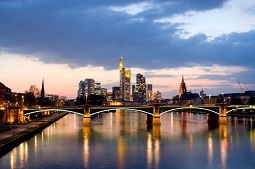 The Frankfurt Card receives very good reviews from travellers, the majority giving it 4.5 or 5 star ratings. Visitors say the card is easy to use and excellent value for money. People have said 'The card easily paid for itself' and 'An excellent experience, I would highly recommend'. Great for visitors to Frankfurt who know they will visit a lot of the top attractions and want to save money. Also good for those who will travel by public transport a lot within the city, or to the airport. A group ticket option also makes it great for families and friends who are traveling together. A half day or full day guided trip to the UNESCO Rhine Valley. A relaxing steamer boat ride down the River Rhine taking in the surrounding landscape. Stop for a delicious meal and wine tasting in a riverside tavern. Travel by coach past picturesque villages, castles, and vineyards to meet the boat. Take a relaxing ride down the River Rhine on a steamer boat (Summer only). Enjoy sightseeing, a meal, and wine tasting. 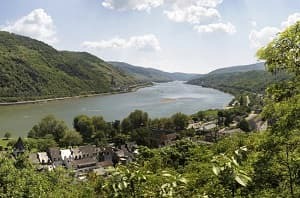 Return coach trip plus boat trip (Summer only) to the Rhine Valley. Wine tasting plus a meal in a small tavern. Fully narrated tour with a multilingual guide. This trip comes highly recommended having received an overall score of 4/5 on TripAdvisor. Travelers have described the trip as 'Awesome', 'Fantastic', and 'Very Enjoyable'. People say that it's well worth the money and that the guide is really great. Perfect if you want to sightsee plus enjoy some local wine! A good trip for couples and friends traveling without children. Photographers and those who appreciate the beauty of our world will enjoy this trip. 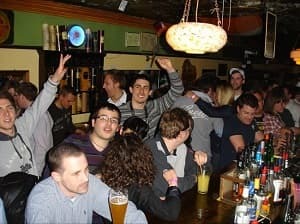 A 5 hour pub crawl through Frankfurts famous Alt-Sachsenhausen every Friday and Saturday night. Visit an apple wine pub, an Irish pub, a cocktail bar, and a karaoke bar. Enjoy a night filled with fun, laughter, and alcohol! Visit 4 bars in the Alt-Sachsenhausen district. Enjoy a welcome schnapps and free shots throughout the night. Have a great fun-filled evening with your guide and other people in your group. A lively guide to take you from bar to bar. Free VIP entrance to every bar you visit on the tour. 1 free shot at each bar plus free shots on the route between. This tour receives fantastic reviews on GetYourGuide and Tripadvisor. People have said this tour is 'A really Great Night', 'More fun than I thought it would be'. Everyone agrees that the guide is what makes this evening something to remember. Great for solo travelers who want to socialise and enjoy themselves whilst keeping safe with the group. A great way to discover the best places to go back to on following nights. Great for those looking to have some fun and let their hair down for the night. Duration: Full Day Trip - 9 Hours. A day trip to Rothenburg, one of Germany's best-preserved medieval towns. See the half-timbered houses and other historic monuments with a guided walking tour. Visit the town's top churches and museums before exploring the streets on your own. 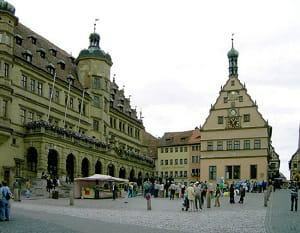 Travel from Frankfurt to the town of Rothenburg by coach. Walk Rothenburg's winding streets with a knowledgeable guide on a walking tour. See the Jakobskirche, the historic half-timbered houses, turreted city gates, town hall, and much more. Return transport by coach from Frankfurt to Rothenburg. Entrance to either St Jacob's Church or a museum. This guided tour gets good reviews on GetYourGuide, Viator, and Tripadvisor with the majority of people saying they had a fantastic day. Visitors have said this about the trip: 'A great day out in a beautiful town' 'A great guide to show us all the places', 'Not to be missed!'. Travelers agree that the guide is helpful and knowledgeable. Great if you want to escape the city to see a historic German town. Ideal for culture vultures and history lovers. The best of both worlds with a guide to tell you about the town and its sites as well as free time to explore on your own. A full day trip visiting the German town of Baden-Baden in the Black Forest and the French town of Strasbourg. Baden-Baden is a famous spa town whilst Strasbourg is a cosmopolitan city. The tour benefits from an expert guide as well as allowing you free time to explore. 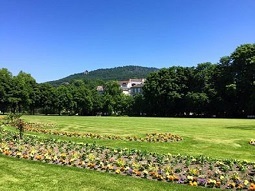 In Baden-Baden you will explore the elegant spa town before visiting Lake Mummelsee. In Strasbourg you will visit the historical town center which is a UNESCO World Heritage site and take a canal boat ride. In Strasbourg you have more free time to explore the city on your own. Return travel by coach from Frankfurt. Entrance fee for Strasbourg Canal boat ride. With an overall rating of 4.5 it's safe to say that visitors love this trip! Travellers say that the tour guide keeps the group engaged with interesting information not purely historical facts. If you're trying to visit as many places as possible in as short amount of time as possible this is the trip for you! Great for couples and friends/family but a bit of a long day for the kids. The plus side is that you get to say you visited France + Germany, the downside is a lot of driving with not so much time for sightseeing. A sightseeing day trip to Neuschwanstein Castle and the medieval town of Rothenburg. See two of Germany's most famous attractions in 1 day. Learn about these two places from a multilingual guide who will travel with you. Visit the castle that inspired Walt Disney's Sleeping Beauty. Explore the medieval town of Rothenburg on a walking tour. Enjoy free time at both places. Return travel by coach from a central Frankfurt location. Skip-the-line entrance with audio tour at Neuschwanstein Castle. This tour has an overall rating of 4.5/5 on Tripadvisor and Viator. One visitor described it as 'A fantastic tour which I highly recommend! Travellers say that the guide is very informative and the majority agree that it's a fantastic trip though there's too much driving time! A great way to see 2 of Germany's top attractions. Anyone who loves sightseeing will enjoy this trip including photographers, architecture fans, and history lovers. There is a lot of driving involved so make sure you're comfortable with coach travel and don't suffer from motion sickness! 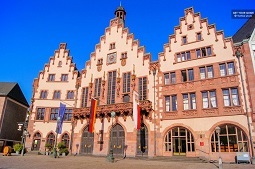 2 tours in 1 day - Frankfurt City Highlights and the Rhine Valley River Cruise with Wine Tasting. See the best of old and new Frankfurt on the 1 hour city highlights tour. 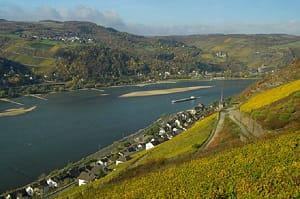 Then, see the stretch of Rhine Valley that's UNESCO World Heritage listed. See Frankfurt Cathedral, Romer town hall, St Paul's Church, Goethe House, Hauptwache plaza and the European banking center. Visit the Rhine Valley and take a steamer boat cruise down the River Rhine and see the medieval town of Rudesheim. Stop for lunch and wine tasting at a riverside tavern. City Bus Tour and River cruise with audio guide. Guided tour around Rudesheim town. This tour gets top marks from the majority of reviewers. 'Fantastic', 'This Tour Was Amazing', and 'A Very Enjoyable Boat Trip' are comments made by happy travellers. People say that the tour is very well organized and the tour guide is friendly and knowledgeable. Perfect for travelers short on time as they can see the most important parts of Frankfurt city and experience the Rhine Valley all in 1 day. Culture Vultures will love this sightseeing trip. Good for couples as well as solo travelers but a bit of a long day for kids. 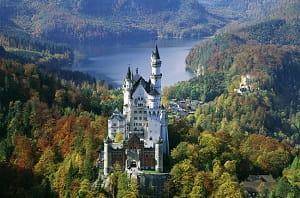 See 2 places in the German countryside in 1 day with this combo tour. Heidelberg is a medieval town with castle known for being the home of Germany's oldest university. The Rhine Valley is a UNESCO World Heritage listed site. See the castle, university and explore the old town at Heidelberg on a guided tour. Enjoy a steamer boat river cruise down through the Rhine Valley. Enjoy dinner at a riverside restaurant as well as a wine tasting session. 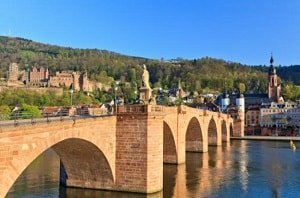 Return coach travel from Frankfurt to Heidelberg and the Rhine Valley. Dinner and a wine tasting session. One happy traveler says "this was one of my favourite tours". Others say "The Rhine Valley is amazing" and "The trip was great". People highly recommend it to others and most people rate it with 4/5 or 5/5 reviews. If you love sightseeing and want to see as much of Germany as possible in just 1 trip, this is for you. Perfect for people who love medieval history and architecture, countryside scenery, and exploring old towns. There's a lot of travel time on the coach so this trip is not recommended for anyone who suffers from motion sickness nor those traveling with young kids as it's a long day. Duration: All day ticket / 60minute loop. A hop-on-hop-off Frankfurt city sightseeing bus tour. Travel on an open-top double decker bus past the top attractions in the old city and new financial district. The journey loop takes 60 minutes if you stay on the bus and don't hop on and hop off. 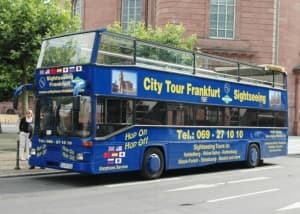 Travel on the blue sightseeing tourist bus around the city of Frankfurt. Hop on and hop off at any of the 14 stops around the city with buses every 30 minutes. Travel past St. Bartholomew's Cathedral, Goethe's House, European Central Bank, Zeil Shopping Center and much more. Audio guide in Spanish, Chinese, English, French, German, Hindi, Italian, Japanese, Arabic, Korean, Portuguese or Russian. A 1 day ticket allowing you to get on and off the bus as many times as you would like. 14 stops on a 1 hour circuit. This city bus tour receives good reviews with people saying it's good value for money. Travellers say that the bus drivers and other staff are courteous. The tour receives feedback such as 'An Amazing Experience' and 'A Good Choice'. A great way to see the city and travel from attraction to attraction for first time visitors. If you're limited on time you can remain on the bus and see the city in 1 hour. Convenient bus stops mean you don't have to walk far between the top attractions. Duration: Flexible, although two or three hours should be enough to most visitors. 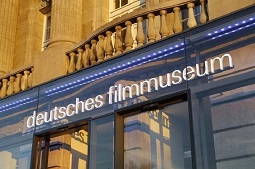 German Film Museum introduces the origins and development of one of the most popular entertainment industries today. The museum disposes of many exhibits and screenings that even hint what the future of the film industry may look like. The in-house cinema screens various classics. Trace the history of the film production even before establishing of the cinema. Examine related exhibits, such as photos, costumes, and makeup, and experience special effects. Acquaint yourself with the development of the film industry. "Great permanent collection that follows the scientific developments leading to film and movies." "It is a nice experience to visit." " Especially loved the interactivity and the brilliant montages of films..."
The museum is suitable for people of all ages. Visiting the museum is highly recommended to film enthusiasts regardless of the genres they prefer. The attraction is a must-visit place for travelers interested in the past and present of technology. An introductory tour of Frankfurt, its attractions and points of interest in an entertaining manner. Tour of the Old Town of Frankfurt and the city's trendy district of Sachsenhausen. Ride via traffic-free roads of this cycle-friendly German city. Explore the city of Frankfurt by bike and learn insider tips that will benefit you for the duration of your stay. Pass by top attractions of the city, cozy cafes, reputable restaurants and half-timber structures. Acquaint yourself with the Old Town, Museum Embankment and Sachsenhausen, the most fashionable district of Frankfurt. "This tour covered the city centre highlights together with a nice ride along the river." "The bike tour around Frankfurt was good. The tour of Frankfurt by bike is a great way to explore the city for repeated and new visitors. The activity is suitable for travelers with an average level of fitness. The guided tour is especially suitable for travelers with limited time since it introduces the city in an efficient manner. 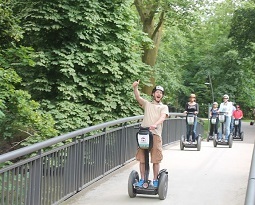 Frankfurt Segway Tour is an entertaining activity introducing off-the-beaten paths. The route of the tour encompasses meadows, ponds, lakes and other green areas of Frankfurt. Hochst, a picturesque suburb of Frankfurt with half-timber houses, is also along the route. Ride a Segway to explore the nature of Frankfurt and the city's suburb of Hochst. Admire half-timber houses, forests, lakes and meadows. Besides local flora, see animals inhabiting the area. "Great experience and very worthwhile"
"Great Tour of Frankfurt Green Belt"
"Very pleasant guide and good value for money"
The tour is especially recommended to naturalists and fans of open spaces. The activity is suitable for travelers over 15. Devotees of beautiful architecture should also join the tour. An introductory tour of central Frankfurt districts by bus. The guided tour introduces the city's varied architecture and top tourist attractions. Among other points of interest, the bus tour covers St. Paul's Church, Frankfurt Cathedral and the Goethe House. See top attractions of Frankfurt and learn to orientate. Admire the skyline of the city in the banking center. Learn where Goethe, a notable writer, used to live and where the German democratic movement originated. Guidance by an expert guide and a tour on board an open-top bus. "Our guide was a fount of great knowledge and history"
"The tour covers all major historical, cultural and modern places and is very well-organized"
The tour caters to every visitor of Frankfurt. The activity is especially suitable for first-time visitors in the early stage of their stay. You should consider booking the tour if history and architecture are among your interests. 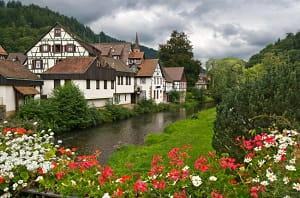 An entertaining day trip to the renowned spa town of Baden-Baden and the mountainous region of Black Forest bordering France. Baden-Baden is a beautiful city featuring avenues lined with trees and the famous Kurhaus Casino. Black Forest is a green area boasting preserved nature. Travel by comfortable coach to acquaint yourself with the highlights of the Baden-Wurttemberg state. Walk boulevards of the Baden-Baden spa town lined with trees and, optionally, visit a famous casino. Immerse yourself in the mountainous region of Black Forest. "Loved every moment we toured and would recommend this tour to others." "Baden-Baden is a pretty and quaint town with interesting things to see"
"He even took us to Strasburg, France, which was a pleasant surprise. The day trip is the right thing to do for travelers needing a break from the hustle of a big city. The trip is especially recommended for devotees of nature. If gambling is among your passions, don't miss the activity.